This paper will discuss how WesBell Electronics is moving into the services business in addition to the distribution of wire and cable products. The company was founded in 1988 by Kenneth Bell and Dean Westover with a simple vision, Dean will travel New England visiting potential customers and Ken will do the accounting and inside sales support. Their mission was to provide excellent customer service, quick deliveries and to keep customer's special products in their warehouse. They both worked together at a competitor when they decided to start a company together. Many years later Ken's son Chris (me) was graduating from college while Dean was retiring from the company. Chris started to visit customers but mostly started working online building an eBay account and a website with a shopping cart. Fast forward 10 years and WesBell's phones started ringing off the hook, sales rose from $2 million to $9 million and numerous customers were requesting that WesBell service the wire as well as provide it. That involved tooling and equipment in order to cut the wire, strip the insulation and crimp terminals or make full wire harnesses. Starting near the end of 2016 WesBell started to invest heavily in equipment, staff and technology to start fully offering their services to current and potential customers. They now have hydraulic presses to avoid hand crimping terminals, machines that cut/strip the wire very quickly, a fully staffed production room and a new and improved website that allows users to order wire and cable online. There are multiple service options before checking out such as cutting to length, adding solder an cleaning large cables after removing the outer jacket. The idea for WesBell is to increase their offering of services because they can build better and longer relationships with those customers, retain them for longer periods of time and make additional profits on orders, rather than simply selling wire and cable products. The demand is strong because the industry seems to work on 4-week delivery dates, so a third shift will be important for quick turnaround times. The target stakeholders for WesBell's services are equipment manufacturers, a production manager, vendors of products and a web design company. The equipment manufacturers are important to WesBell's mission, vision and values because they provide the machines that will create their quality of product, efficiency of operations and accurate delivery times. Their equipment needs to be operational during first and third shift with technical support available during those hours. Machine downtime is costly over and above the machine itself. The employees may not be able to work during the downtime, customers might be expediting delivery dates and WesBell's staff will need to fix the machine or contact support for help. A production manager (PM) is a target stakeholder because their morals, values and ethical code need to be in line with WesBell's in order to support their mission, vision and values. Trust will be given to the PM because he or she will need to improve, or even create, one-piece flow production lines, just-in-time deliveries, LEAN efficiencies, schedules and plenty of wire harnesses that WesBell has never seen before. Their PM will need to follow WesBell's ethical code when in communication with customers about the quality and consistency of their harnesses. According to (Weiss, 2014) "Normative ethics also deals with what habits we need to develop, what duties and responsibilities we should follow, and the consequences of our behavior and its effects on others" (p. 15). Vendors that supply wire, cable, terminals and other materials will need to meet specific delivery dates in order to fit them directly into the production line and adhere to WesBell's mission of quick deliveries, on-time, along with a quality product. The web design company is also a vendor with Target Stakeholder status that created a new website for WesBell with additional functionality for users to buy cut/stripped wire online (www.wesbellwire.com). This particular vendor continues to optimize their website for the best search engine results and provides analytical reports that show where improvements are needed. They help to provide new customers in the area of custom wire and cable harnesses and assemblies so that WesBell can continue to provide their customers with products and services throughout the future. WesBell has always been successful by creating trust with customers, following through with their commitments and admitting fault when things go wrong. They are quick to respond to problems, and with only 25 employees, it's hard to pass customers to different departments. Their customers have been asking for fast delivery times for cut wire and harnesses, so WesBell is going to solve that problem with an efficient production department, 2 full time shifts and efficient assembly lines. They will need to create ethical business relationships with the list of target stakeholders and follow through with commitments. The internal and external factors within the business environment of WesBell include employee salaries and benefits, work environment, government requirements and regulations, and customer requirements. The internal factors influence the business environment because employees work harder when paid well, incentivized and given a clean environment. Treating employees well also proves to attract more applicants with better resumes, rather than paying bottom dollar and attracting bottom-dollar talent. The format in which WesBell treats their employees will impact the company in a positive or negative way. 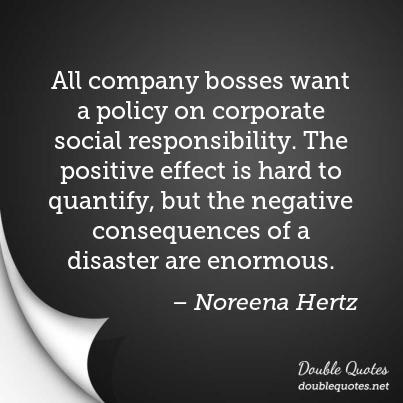 For example, there's no law against paying minimum wage, micromanaging and offering the bare minimum benefits, but it will quickly impact production results and company morality. The negative vibe could spread around town implying that WesBell isn't a good or fun place to work, and the pay is terrible. On the other hand, when WesBell's minimum wage is double that of the state's requirements, the health insurance coverage is double that of most companies and they have a team-driven production line format that requires little management, the word around town will support WesBell and its vision rather than demote it. The external factors influence the business environment because certain customers, along with the government, have requirements that cost a substantial amount of investment dollars. However, such investments tend to have long term payoffs because WesBell becomes one of the limited suppliers that support those requirements and regulations which diminishes competition and increases resale prices. WesBell wants to position itself in the industry as a company that quickly and promptly complies with new standards, regulations and ethical codes of conduct. This approach will keep a positive mindset in the eyes of their customers, through purchasing agents and engineers that respect WesBell's approach to doing business the right way. The negative impact would quickly spiral out of control as fast as the positive impact will create a cycle of growth and improvement. Standing still is equivalent to falling behind in a growing economy, so doing nothing, or avoidance of issues, will also negatively impact WesBell. 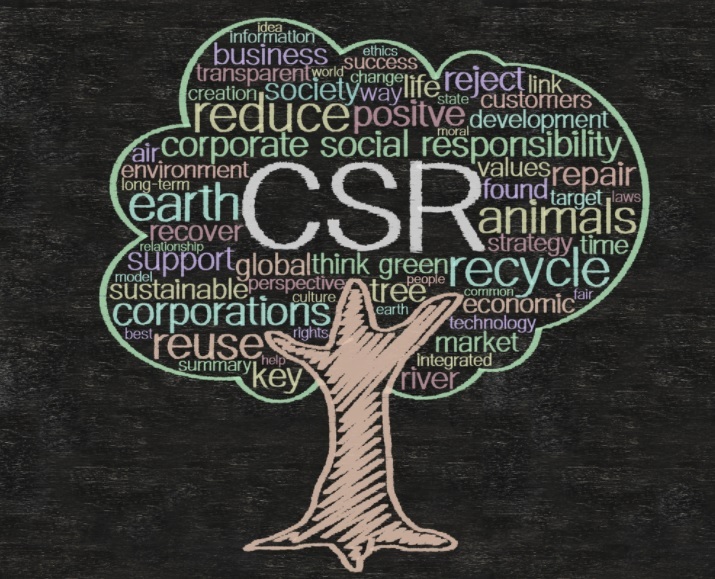 There are trends being set in corporate social responsibility that relate to employee salaries, benefits and work environment by Silicon Valley technology companies such as Google, Facebook and Amazon. Old fashioned work environments are intimidating with cubicles, closed offices and multiple layers of management that make the employee feel small and enclosed. Modern work environments in some large companies are setting trends that allow the employees to feel involved and important from the entry level positions to management. Residential real estate and modern companies are leading the way with open concept "glass walls" rather than cubicles and closed-door offices. In November of 2015 The Washington Post did an article on the offices of Facebook and stated, "There are no cubicle walls. No partitions. Her desk sits cheek to jowl in a pod with five other desks, a scene repeated across the cavernous Frank Gehry-designed space filled with 2,800 Facebook employees. Even chief executive Mark Zuckerberg sits out in the open at one of those simple white desks (Frankel, 2015)." WesBell's management team believes strongly in these trends and has plans to invest in open concept modern office layouts to treat the employees like family and attract the best talent throughout the future. Externally, as WesBell grows, they are seeing trends that relate to process, procedure and regulation from customers and government. WesBell became ISO 9001 certified about 8 years ago to prove that they are organized, follow procedure and have processes in place for risk management and quality inspection. Their customer base no longer has a trial period that allows WesBell, or their competition, to mess up a few times and correct errors. Instead, if WesBell maintains the ISO 9001 certification through internal and external audits they will maintain the trust of their customers in terms of organization, risk management, quality and continuous improvement. There are also ISO certifications that go deeper into the process of a company within the fields of medical, automotive and aerospace, all of which are industries with much tighter controls and regulations. WesBell could be making a wire harness for a simple stereo compared a complicated electronic device used to check vital signs of patients, both of which have severely different circumstances in terms of quality. Sustainability and ethics are at the forefront of WesBell's vision for the future because they have customers in the fields of medical, automotive and aerospace. That means they would like to be ISO certified for each of those standards to sustain and increase the bond of their current customers, to be a step ahead of their competition and to over-satisfy their customer base that isn't quite as critical, but still in need of a quality product. WesBell's customers no longer want to provide internal quality control before using products which means there needs to be a great deal of trust built over time, and the list of ISO certifications is a safe haven for customers that wonder, "Are they just talking a good game or are they walking it too?" The internal impact of these trends requires WesBell to invest time and money into their employees and work environment. For example, WesBell created a new structure of pay for production employees that relate to the amount of stations they're familiar with, such as setting up cutting machines, soldering, using hand tools and using hydraulic press crimping machines. Ideally, a more versatile employee over two years could make more money per hour than a less versatile employee over five years. They want their employees to strive to be better, more knowledgeable and cross trained, and eager for the opportunity to be cross trained. WesBell can prepare for these trends by starting with a clean and safe work environment, an entertaining lunch room, stocked candy and snacks, less micromanagement and more self-improvement initiatives. According to OSHA (Occupational Safety and Health Administration), "Under federal law, you are entitled to a safe workplace. Your employer must provide a workplace free of known health and safety hazards. If you have concerns, you have the right to speak up about them without fear of retaliation (OSHA.gov)." For example, instead of simply forcing employees to cross train, let the employee know that there is a dollar raise available for each of the 10 stations that they fully comprehend, then let the staff work amongst themselves to cross train each other, trade stations for a few days and know in the back of their mind that they are directly benefiting from their initiative. The external impact of these trends requires WesBell to invest in ISO approvals due to customer and government requirements, invest in risk management and prevention rather than reacting to problems after they occur, and invest in improving lead times for shipments without affecting quality. A medical customer of WesBell that requires the ISO 13485 medical certification by 2019 forces WesBell to invest money to simply retain business. However, it also opens the door to new medical customers that have similar requirements and even closes the door to vendors not willing to support that certification. According to ISO.gov, "ISO 13485:2016 specifies requirements for a quality management system where an organization needs to demonstrate its ability to provide medical devices and related services that consistently meet customer and applicable regulatory requirements." Perhaps, WesBell will get more business from their current medical customer since another competitor isn't willing to invest the time and money into becoming certified. WesBell can and will prepare for the certification trends within the industry by starting the process early. Once a customer starts ordering something from WesBell, or any company, it typically becomes a long-term cycle until something goes wrong, such as defective product, late deliveries or competitive pricing from the competition. According to Weiss in 2014 "Also, because customers are an integral part of business, these professionals [sales and marketing] must create and maintain customer interest and loyalty. They must be concerned with consumer safety and welfare, while increasing revenue and obtaining new accounts. (p. 135)" Even though WesBell isn't manufacturing the products for the medical field, sometimes they cut the product to length and need to be sure the quality is up to the standards of their current medical customer and potential customers. Therefore, if WesBell is essentially first to be approved to this ISO standard it not only makes the customer happy by putting their needs at the forefront, but also sets WesBell up to start receiving orders that their competition isn't available to accept. That will be a long lasting effect on the bond between WesBell and their medical customer going forward, and open numerous doors for WesBell's marketing team to promote new capabilities to win new business within the industry. The potential business ethics and regulatory issues that could impact WesBell are to be compliant with certain government approvals that pertain to their business such as RoHS (Restriction of Hazardous Substances Directive), REACH (Registration, Evaluation, Authorization, Restriction of Chemicals) and WEEE (Waste Electrical and Electronic Equipment Directive). RoHS compliance has a list of more than 10 restricted substances which includes most notably lead and mercury. According to www.rohsguide.com, "RoHS, also known as Directive 2002/95/EC, originated in the European Union and restricts the use of specific hazardous materials found in electrical and electronic products. All applicable products in the EU market after July 1, 2006 must pass RoHS compliance (RoHS Guide, n.d.)." WesBell must be sure that they are buying from vendors that support these regulations and that their waste management process considers WEEE as well. It's not enough in 2018 for companies to act as if they didn't understand certain regulations that have been in place for years, it's the corporate social responsibility of each company to understand the products they're selling, and their impact to the environment. REACH has a similar mission, but slightly different than RoHS. According to ECHA (European Chemicals Association), "REACH is a regulation of the European Union, adopted to improve the protection of human health and the environment from the risks that can be posed by chemicals, while enhancing the competitiveness of the EU chemicals industry. It also promotes alternative methods for the hazard assessment of substances in order to reduce the number of tests on animals (ECHA, n.d.)." These issues could impact WesBell's corporate strategy, brand development and decision-making process because, first, being compliant to each of these initiatives doesn't directly translate into sales and profits. Secondly, it becomes a big expense of time and money for WesBell to verify that vendors are compliant when manufacturing the wire and cable to use these compliances in marketing literature going forward. That, on a more positive note, will help WesBell attract new business in the competitive industry of wire and cable distribution and contract assembly, when perhaps some of the competition isn't compliant. WesBell has been RoHS compliant for many years but REACH is a newer concept, and most of the wire and cable manufacturers that are RoHS compliant have quickly joined the REACH movement, so it's unlikely that a manufacturer has one approval without the other. Even though WEEE has been around for years, WesBell's new contract assembly business along with the waste that it produces, will be strongly affected by WEEE, forcing their corporate strategy to focus on minimizing waste and disposing of it in the most environmentally friendly way. According to the European Commission website, "WEEE is a complex mixture of materials and components that because of their hazardous content, and if not properly managed, can cause major environmental and health problems." WesBell's decision-making process will comply with all three standards, and their brand development will advertise their compliance in hopes of attracting new customers that require and support the environment and correct disposal of electrical materials. WesBell will align their corporate strategy, brand development and decision-making processes to the business ethics and regulatory issues by assigning staff members to make WesBell and their vendors 100% compliant to customer and government regulations, improving the work environment of the employees and the benefits they receive. The president of the United States lowered the corporate tax rate to 20% from 39% to improve net income and cash flow of companies, and to hopefully trickle that money through the employees and into the hands of hard workers that haven't received raises over the last 10 years. WesBell increased their minimum wage to $15 per hour starting in 2018, and after 3 months of employment pays 100% of each employee's health care premiums as individuals. Furthermore, in hopes of being a bit more fun and modern, WesBell has decided to offer free lunch on Fridays from a nearby pizza restaurant. Most work environments could be cleaner as well, so WesBell has plans to improve the cleanliness and look of each department throughout 2018. It's ethical to share the wealth when a company gets a big tax benefit and it's also ethical to provide a clean, safe and fun atmosphere for the employees to fully enjoy their job daily. Higher wages, health insurance and bonuses will improve their home life but a cleaner, safer and more fun atmosphere at work will keep them happier for a longer period. WesBell's corporate strategy for 2018 will support these initiatives because the President is right, numerous levels of employees have been somewhat ignored for the last 10 years, and sometimes even told, "Sorry about the raise freeze again this year, but you should be happy to have a job in this economy." Even small companies can act like Google and Facebook by creating fun places to work and spend a majority of your life, so WesBell is making that commitment to their employees in 2018 and into the future. The sustainability of WesBell over the next ten years depends on how much attention they pay towards employee salaries and benefits, work environment, government requirements and regulations, and customer requirements. There's a saying, "If you're standing still you're falling behind" in business because companies are growing, continuously improving and reinvesting profits into technology and equipment that lower costs over time, all of which trumps the companies that are standing still. WesBell could lose a large medical customer if they don't adhere to getting ISO 13485 certified in 2018, nor would they can promote and market those new capabilities to potential customers in the medical field. WesBell needs to prove to their third-party auditors that they are continuously improving processes to meet their current ISO 9001:2015 certification, or again, suffer the consequences. WesBell needs to improve their work environment, increase salaries and provide additional benefits that support the employees that show up to work every day and to limit future turnover of employees. 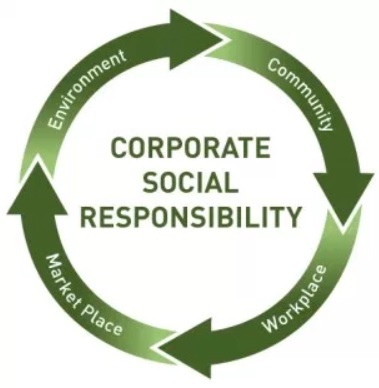 WesBell has an ethical and corporate social responsibility to their employees, their customers, the government and the environment, and their business will be more sustainable over the next ten years. Weiss, J. W. (2014). Business ethics: a stakeholder and issues management approach. San Francisco: Berrett-Koehler Publishers, Inc.